Blogging is one way GreenEarthEquities provides a forum for the free flow of ideas in regards to al aspects of Energy Wise Residential Remodeling. Along with our regular Columnists, we’re pleased to feature great blogs from our members as well as links to important blogs from other sites. Feel free to read and comment on those we’re featuring. We also welcome your suggestions for links to others you may have found elsewhere. To submit a blog for consideration please fill out our contact form or email your submission or link to Rob@GreenEarthEquities.com for review. 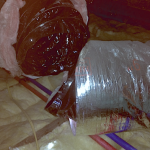 Are Your Ventilation Ducts Really Serving You? 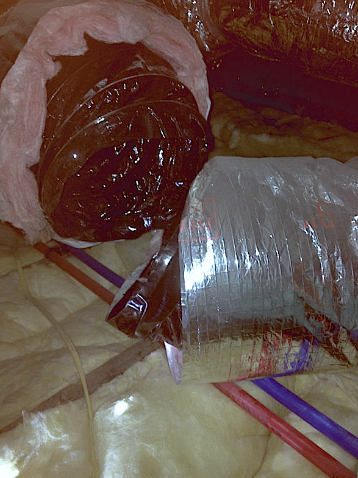 When I was learning about energy efficiency, I saw many photos of leaky and crushed ducts. Many home performance contractors also said that it is common that ducts in homes are leaky, crushed, clamped sometimes even broken apart. I’ve heard about them. I’ve seen many photos of them. Now it hits close to home. Just the other day I was chatting with my daughter and she mentioned that her house she bought six months ago in New Orleans is very cold. It is only 50 degrees F in her room even with the heat on. There was no warm air coming in. She did not get much cool air in summer either. Her room is an addition to the original house that was rebuilt after Katrina. She thought she might need a bigger heating and cooling system. I told her the heating and cooling system is usually sized large than it is needed. She should go to the attic to check if there is a leak in the air ducts. She did not think that would be the case because the house was just renovated three years ago. But she went up the attic to check anyway. Next day she sent a picture showing the fairly new ducts nicely insulated. But what a BIG leak! The duct was totally disconnected. (See picture) She has been cooling the attic for the whole summer and now heating the attic in the winter. She used Gorilla tape to fix it for the time being. There is warm air coming in from the vents in her room but not enough. She will try to find a good HVAC guy to check the ducts some more. If you experience a cold room in your home, you may want to check the ducts in your home. Leaky ducts waste energy and money. It can also bring attic pollutants into the house. Foreclosure is the Cure. Not the Disease. This morning, the New York Times ran an article entitled “Foreclosures Are Killing Us”. 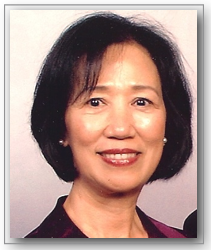 The writer states that due in part to a large increase in foreclosure filings in August, in addition to a the $1 billion unemployed and underemployed housing program ending on Friday, that this is the perfect storm to bring on a wave of further foreclosures – which the writer points out will lead to an increase in depression, illness and other negative affects in communities across the country. Yes, we agree that being upside-down is very stressful for homeowners. But note, millions not in foreclosure are also upside down and still making payments; which is even more stressful. Many have placed their hopes on loan modifications and principle balance reductions, both of which have failed to date. The reality is that a foreclosure or short sale is the only reliable option to get out from under mortgage debt today. So does that make foreclosure the killer? Or is it the cure? We feel it’s the latter. What do you think? Click here to view original article.